An interactive text and case study of justice and well-being. 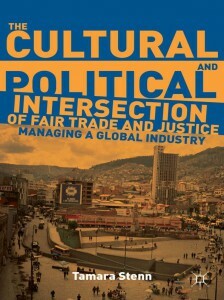 In The Cultural and Political Intersection of Fair Trade and Justice, Stenn uses Amartya Sen’s theory of justice and Geert Hofstede’s theory of cultural dimensions to answer the question: ‘Is Fair Trade fair?’ This exciting new interactive volume focuses on a study of the effects of Fair Trade on indigenous women and enables studets to see how they effect them too. Stories are reported by the women themselves, which Stenn uses to develop a deeper understanding of Fair Trade, globalization, culture, and policy in building justice. 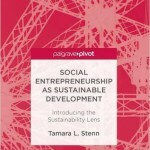 Each chapter is followed by an interactive exercise that enables readers to experientially apply the main themes of the chapter – whether participating in the development of a global database of consumer motivation information, interacting with local community organizations, or meeting entrepreneurs within one’s own community. There are also reflection questions which deepen one’s thoughts and application of the chapter material. This comparative study of Fair Trade and its effect on Bolivia’s Andean women, working independently in handicrafts and collaboratively in agriculture, analyzes how Fair Trade has grown to become a multi-billion dollar, global industry. Stenn’s 15 years of working with indigenous Andean women makes this in invaluable source for the study of Fair Trade and for Bolivia’s population. “This original and compelling exploration of fair trade deftly shifts between macro and micro level analysis. Stenn draws on a wide range of scholarly perspectives and her own wealth of experience in the fair trade industry to create a highly readable text that will be useful for both students and fair traders alike.” – Sarah Lyon, Associate Professor of Anthropology, University of Kentucky, USA and Editor, Anthropology of Work Review.